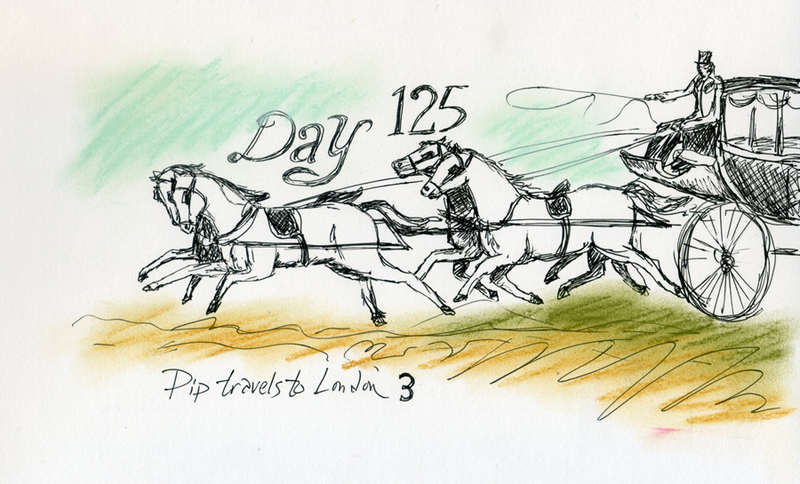 Pip arrives in London after a five hour, 4-horse carriage ride from his home town. (The horses were changed out regularly.) His first impression of London: “ugly, crooked, narrow and dirty”. I am sure there was much more noise and pollution, plus crowded-ness than in his small village. Dickens describes the city coach which Pip switches to for the short ride to the home of Jaggers. It is much more fancier than the one he traveled in. Fancy, but time-worn. Once at Jaggers’s home, he asks if he is there. That’s it, for now! Did a quick sketch of a four horse carriage. I have drawn maybe only one other horse in my life. Some girls are REALLY into horses. I just never was. But they are beautiful, stronge creatures. 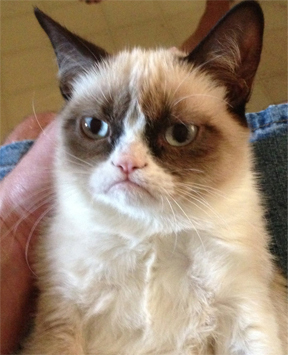 The opposite of these beautiful creatures: the infamous GRUMPY CAT! I LOVE this cat! He really looks like he just needs a hug!